With a range of beautiful beaches on the south and the great Mount Merapi on the north, Yogyakarta tour package is basically full of many exciting things to do from exploring the magnificent beaches to hiking a volcano. In addition to explore the wonderful nature, Yogyakarta also offers an excellent experience of exploring Javanese culture. One of the chances is offered through Labuhan Ceremony. The Labuhan Ceremony is actually a royal event which is held in order to honor the coronation of the Sultan of Yogyakarta by giving offerings to Mount Merapi, Mount Lawu and the South Sea. It is not offered on everyday Yogyakarta tour package. You can only witness this special chance once in a year especially on the day after the Sultan’s birthday. This custom ceremony is conducted to maintain a good relationship between the Sultanate of Yogyakarta with the supernatural being. It is believed that the good relation can be maintained by giving offering like new clothes and seasoned rice to the three sacred places in Yogyakarta. This ceremony is for sure exceptional and worth to check within your Yogyakarta tour package. Instead of seeing other posting the moment of Labuhan Ceremony on the social media, it must be good for you to witness the Labuhan Ceremony in Yogyakarta yourself. Whether you are joining the one which is held in Parangkusumo Beach, Mount Merapi or Mount Lawu, it’s no hesitation that you will get the most of your Yogyakarta tour package. The mystical and unique ritual is included to the Labuhan Ceremony. It is certainly something that you can expect from a ceremony that symbolizes a harmony between the spirit realm and the men. You will be able to see a ritual when the offerings are thrown to the South Sea and so on. This is something you cannot expect from a normal Yogyakarta tour package. Participating on Labuhan Ceremony will let you to learn deeper about Javanese culture. There are a lot of myths related to the ceremony such as the myth about sacred stone in Parangkusumo Beach. There is also a belief that flowers that spread during the ceremony can make a dream comes true. It will absolutely help you to make your Yogyakarta tour package more exhilarating. 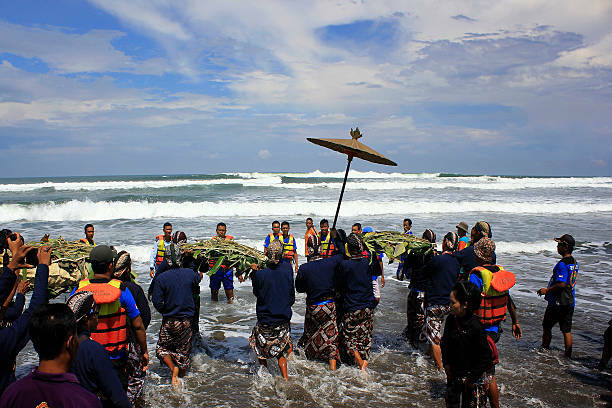 The Labuhan Ceremony is all held in a place with a great panorama such as Parangkusumo Beach and Mount Merapi. It means that you can enjoy the ceremony while getting mesmerized by the beautiful panorama around you. You can expect for a good object to be captured too! And your Yogyakarta tour package will be more exciting. That’s all a few reasons why you must consider booking your trip package to Yogyakarta during the Labuhan Ceremony. If you need a tour provider, www.jogjabromotour.com is extremely recommended for you. This tour provider offers private as well as custom tour to Yogyakarta with the best deal. So, don’t forget to get your Yogyakarta tour package from www.jogjabromotour.com!